Last week we covered the basics of git. 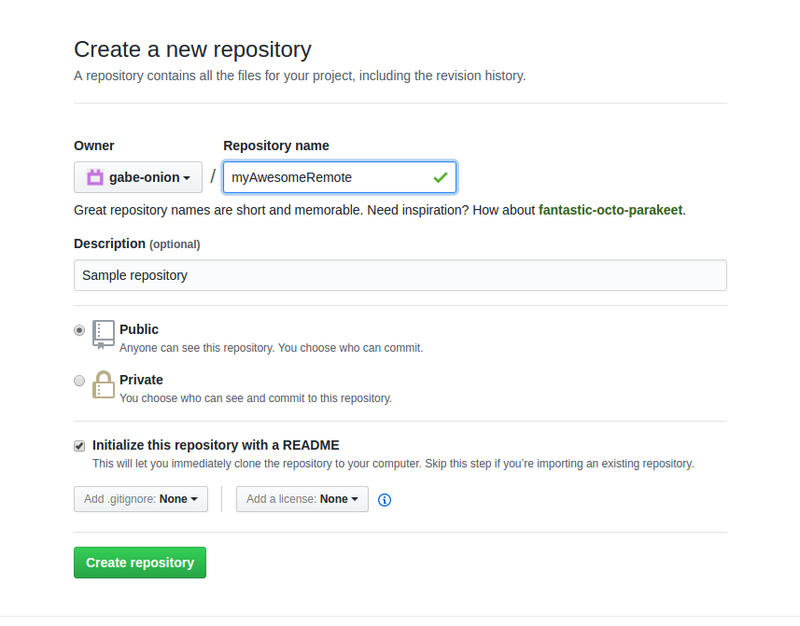 This week we’ll show you how to work with repositories hosted online, as well as making your own. This is another way to wirelessly transfer code and files to the Omega! The basic steps of making changes, adding them to staging, and committing are the same, with two more steps: pulling (downloading the latest changes) and pushing (uploading your changes to the Internet). Read on and get rolling! Cloning is downloading a repository from the Internet and setting it up as a local repository so that you can continue to add and track changes (stored in .git). The code will be downloaded into a directory with the same name as the repo, oledQrCodeGenerator. 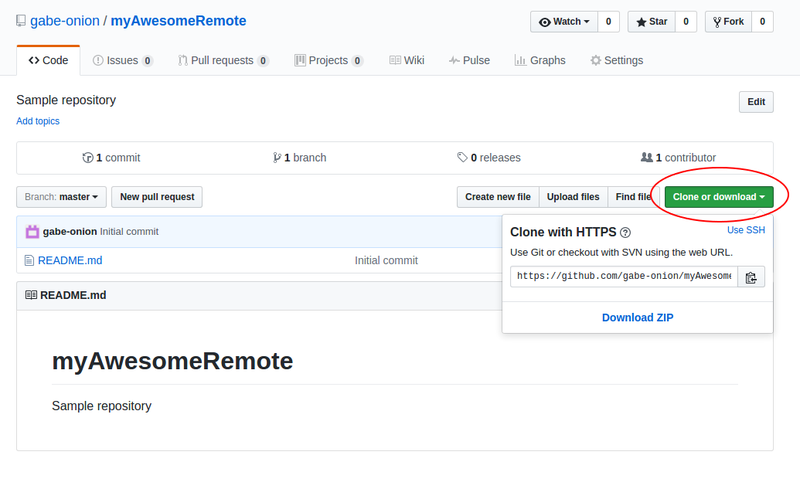 If you want to clone into a different directory or one that already exists, simply add a directory name after the repository URL to the git clone command. To run the project, follow the instructions in the included README file! 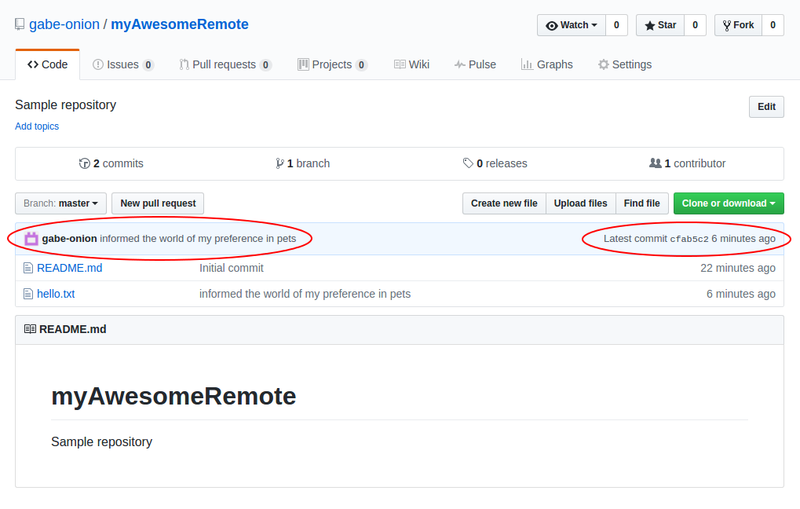 git commit -m "informed the world of my preference in pets"
# Counting objects: 3, done. # Compressing objects: 100% (3/3), done. # Writing objects: 100% (3/3), 352 bytes | 0 bytes/s, done. Now return to your repo’s web page and refresh; you should see your new commit! Working with remotes is also a way to “back up” your code online in case something goes wrong with your computer or your Omega. In this way, you can develop a project on your computer using an editor or environment with which you’re comfortable. You can then push commits and download them onto the Omega wirelessly! And that’s it! You now have the tools to quickly develop, keep track of, and share your projects with the world. Check out our article on Installing and Using Git on the Omega for full details. P.S. — Our Omega2 Indiegogo campaign will be ending in the near future! Don’t miss your chance to get the Omega2 for just $5! P.P.S — We’re shipping packages on a daily basis! If you haven’t gotten yours yet, sit tight!